Olympus C3040 digital camera, 35mm lens, 1/125 second at f6.0, built-in flash. 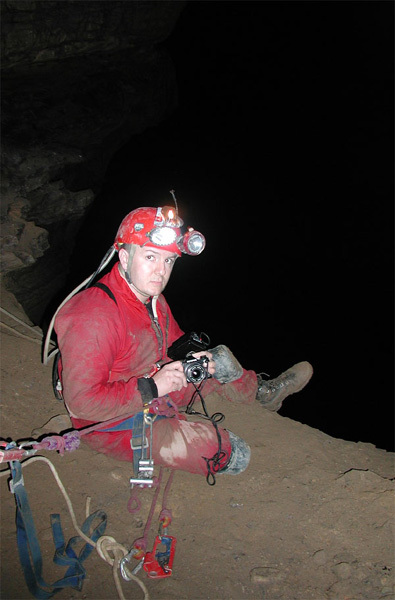 "Curtis Beasley's vanity shot of web master Chris Anderson as he prepares to photograph a caver ascending the Stupendous Pit. The pit has recently undergone "manicuring", whereby new bolts were installed and several massive boulders removed to make the drop safer."